Meet Yoshitomo a 64 year old Gentleman and train fanatic who I met last month in Furano. 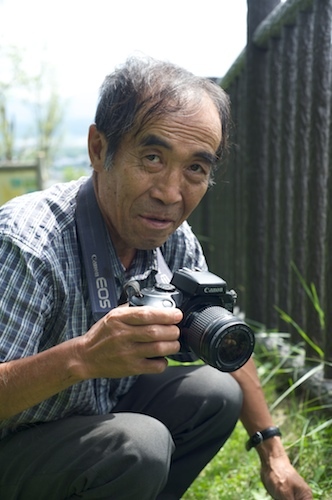 I bumped into him on top of a hill trying to get a photo of the Furano town and ski resort. He was there waiting to shoot a train that was scheduled to come by. 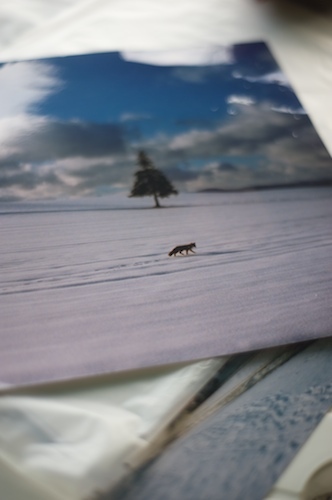 We chatted for a while and he even showed me some of his collection of photos shot around Hokkaido over the years. Thanks to the the camera hanging around my neck I was able to meet another Hokkaido/Nature/camera lover and share a few minutes together. Retired and single after his wife passed away, Yoshitomo now makes day trips around the island to shoot mostly trains and sometimes a good nature shot. No business involved, just doing it because he loves trains and pictures. 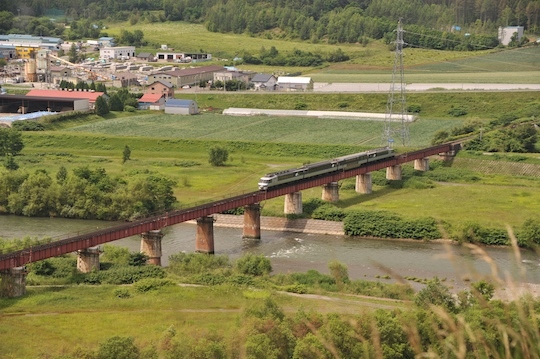 Here is one of the trains we shot together, though not the one Yoshitomo was waiting for. 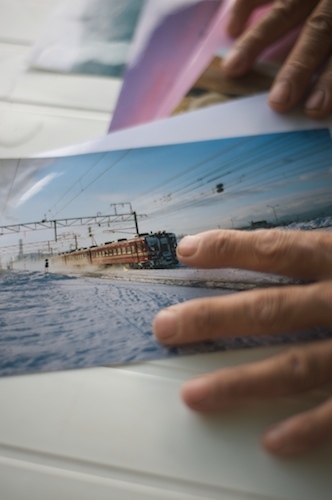 Yoshitomo shoots exclusively on print film and carry’s around a lot of his prints in his tiny mini car. Wrinkled and well worn from showing them to people and carrying them around, those prints had a lot of flavor and history. Great stuff. The train Yoshitomo was waiting for. 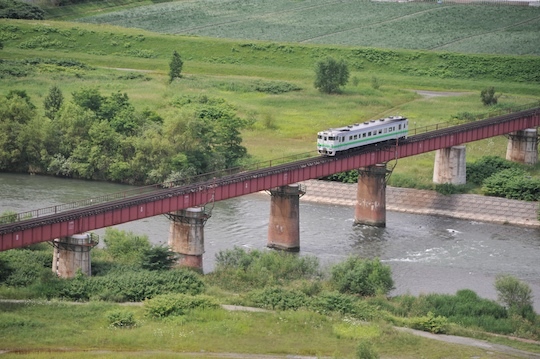 Classic Hokkaido train shot in the Furano valley, hope to see you again Yoshi! Sunday I had a job shooting photos for a North Face sponsored event at the Sapporo Factory. By the time that was all done it was time for me to drive directly to Furano. I had another hotel to shoot and I wanted to get there early in order to shoot with the sunrise. 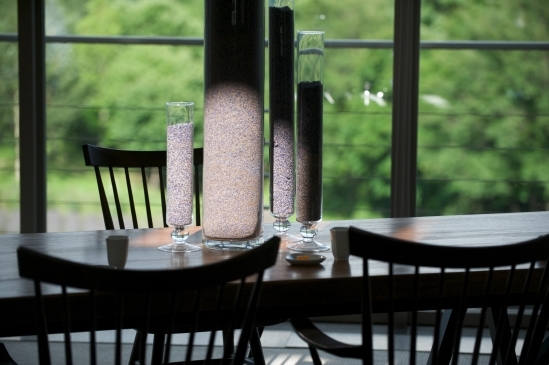 Nice lavendar pots sitting on the table. Check it out I am in full nature photographer mode! 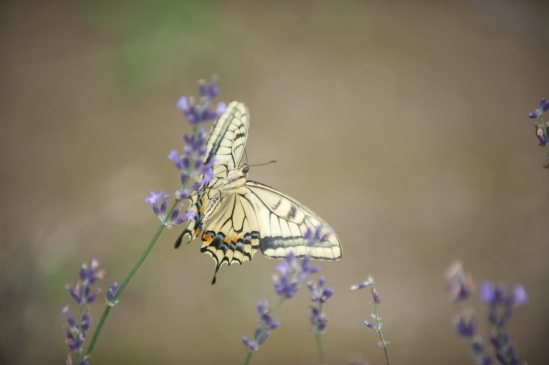 Butterfly in action! Interesting note. 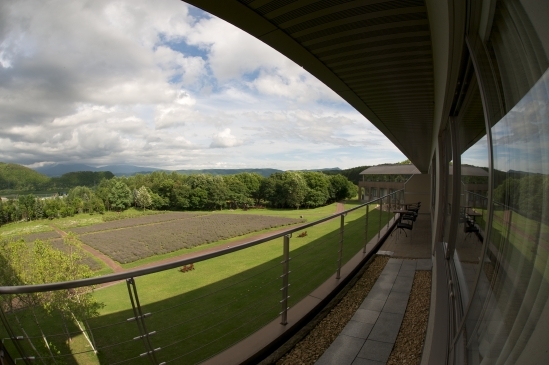 This property was originally built by an insurance company. 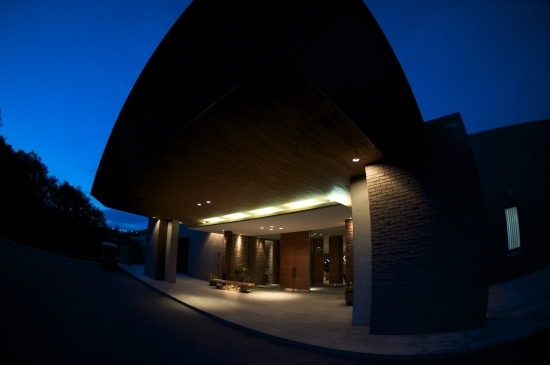 So was the hotel I shot last week in Jozankei. Both were what is known as “Hoyojo” in Japanese. Not sure what the exact translation is, but basically it is a property owned by a company and used exclusively by the company employees. Company retreats, seminars, maybe a place to bring important clients etc., Well now the insurance companies are all going down the drain and they are selling off their properties at bargain basement prices. 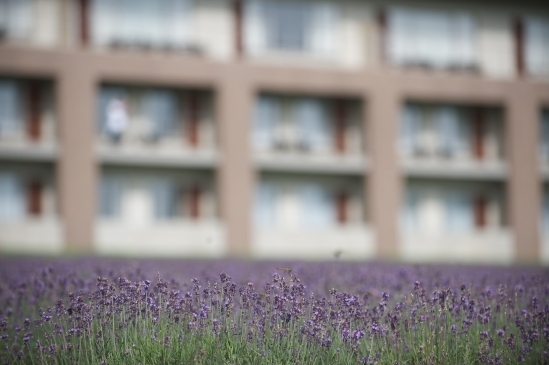 So a few smart hotel owners are buying them up. A quick remodel and bingo you have a high end hotel open for business! 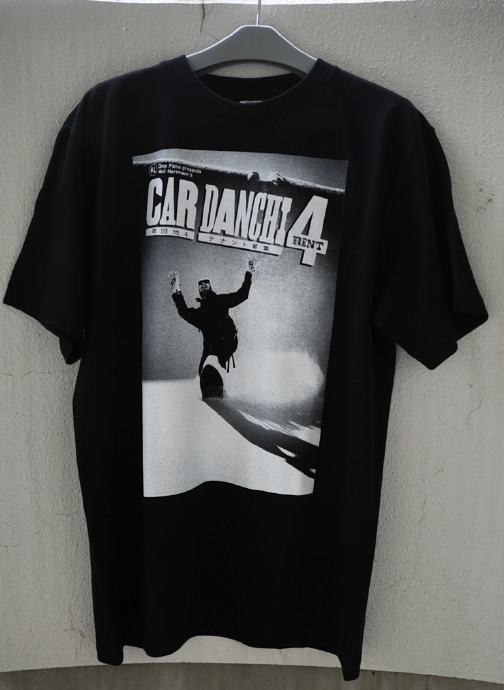 Yesterday when I got home I stopped by Takamasa’s house and picked up the first samples of the Car Danchi 4 T-shirts! We made 20 to start with, these will be for the riders and all those involved in the making of the film. Decided to go with a black T-shirt and use the package design for the front. We are going to add a written message on the back for the actual production version. 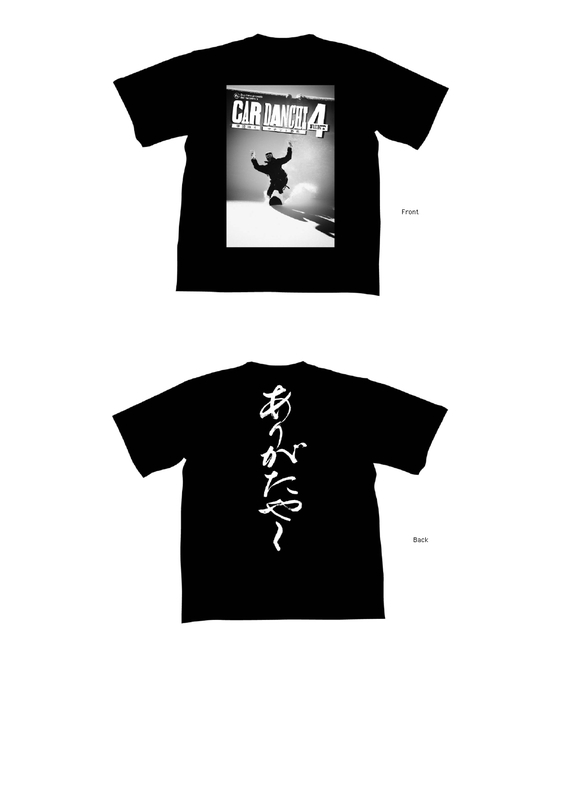 T-shirts will be available in limited quantities at select shops around Japan. We are still taking orders at this point so not sure what stores will stock the shirts yet. 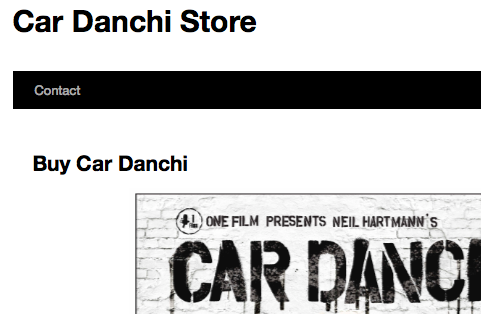 The final teaser for Car Danchi 4 is now up on YouTube check it out! 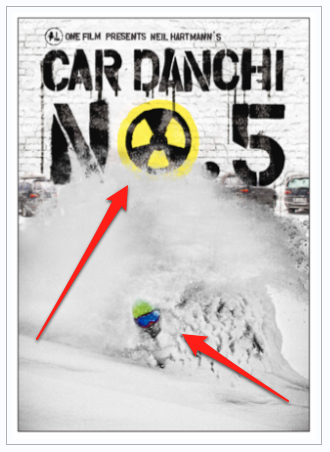 The final installment in a series of five teasers for the new snowboarding movie Car Danchi 4 “Rent”. In this edition rider “Yatto” explains how to eat cheap at the Japanese version of 7/11. Every yen counts as we spend the winter living in our cars searching for the ultimate powder!